If you are shipping to Australia from USA retailers it’s important to be aware of the barriers you can run into and how to shop so you can avoid them. In this post, we cover why Australian consumers are buying products from America, how customs and duties works, what is items are restricted when it comes to shipping, how to use a VPN to order from US stores, and finally how to use Zip Pay (a payment solution for Australian shoppers). Many international shoppers from all over the world choose to shop in the US because the cost of certain items are much less expensive versus what it costs in their own country. There are shoppers who like to take advantage of major discounts found during seasonal sales that take place in America, some of which include Black Friday, Cyber Monday, Labor Day, and more. Another reason consumers shop in the US is so they can access exclusive products only available to US shoppers. Brands often develop different product lines for the needs of various countries so it’s not uncommon to that a retailer offers a specific item in one country and not in another. The GST tax is a consumer value-added tax (VAT) placed on goods and services that are purchased outside of one’s domestic country. In Australia, the GST tax on imports is 10% of the declared value. As a re-shipper, we are required to charge an additional 10% fee on the shipping costs incurred. All other package forwarding companies are subject to the same fees. Prior to July 1st, 2018 the tax only applied to purchases of $1,000 or more but since then the tax now applies for any item imported. If your shipment is valued under $1000 the tax will be applied at the time of shipping with your package forwarder. For shipments over $1000, the tax will be applied when it reaches customs and paid to the Australian government. For Australian shoppers looking to purchase items from online US retailers, this means you’ll want to estimate your final cost with this tax in mind since you’ll be required to declare it for customs. It’s possible to offset this additional fee when you use a package forwarding service from the US since consolidation and shipping discounts can decrease your overall spending on international shipping. Super low prices on products found in the US can also make it so you end up spending less money in the long run. We’ve recently uploaded an entire post dedicated to shipping Dangerous Goods, which you can find here. But it is always important to also check the carrier’s restrictions based on the destination country as the items listed can vary. Your item must fit within both the carrier’s restrictions and OPAS’. Another thing to check before shipping to Australia from USA facilities is whether there is a Remote Zone/Area Surcharge fee associated with your address. Even if you live in a populated city you’ll want to see if the carrier you selected will add a fee. Often if carriers do not have a facility or the ability to deliver to the final destination address they will use a 3rd party shipping company, which leads them to charge an additional Remote Zone/Area Surcharge. That will increase in final cost. UPS, DHL, FedEx (they call it out-of-delivery area), USPS does not charge remote area surcharges. We’ll expand more on this topic in a future blog post but here’s a breakdown of how you can use VPN’s to shop from US stores when a site is blocked in your country and restricts visitors based on location. Since the recent GST changes in Australia, some stores have decided to restrict access for Australian users. There are many Australians that prefer to shop in the US due to more affordable prices and access to a wider range of items. Users have found a method that allows Australians to access American stores and place orders by the use of virtual private network (VPN) software. Simply find a VPN that works best for you and fits your price range. 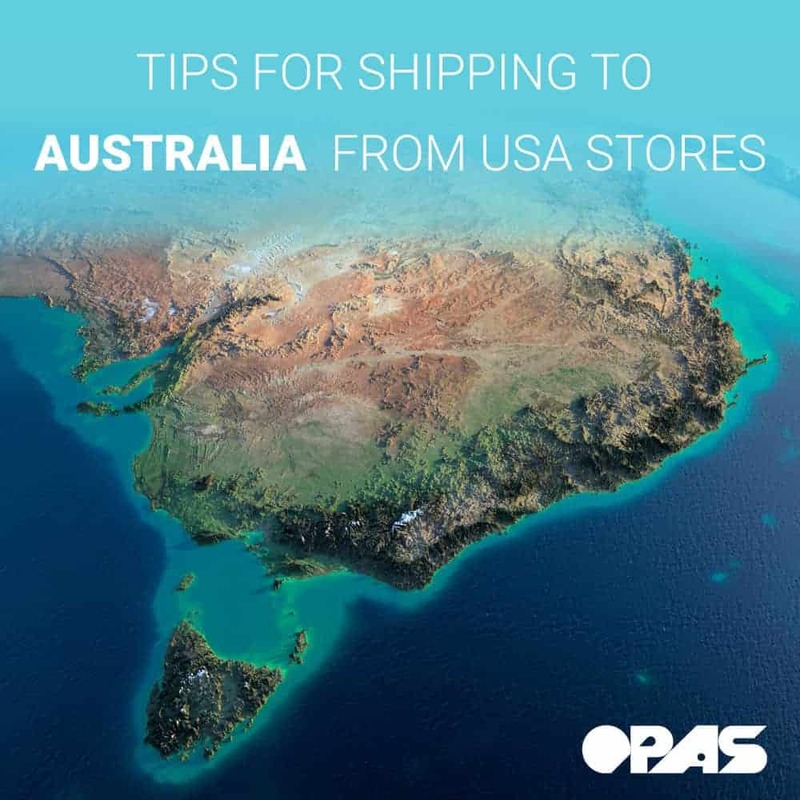 Something to keep in mind when shipping to Australia from USA stores is that users will need to have a US address to ship purchases to since the retailer may not ship to an AU address (this is where OPAS can help!). We’ve integrated Zip Pay into the OPAS membership portal so our Australian members can have the ability to shop at online stores using the payment service. To utilize Zip Pay you must fill out a request through the Personal Shopper tab. Zip Pay is a useful payment solution that allows consumers to buy now and pay later interest-free. It has become a popular form of payment in Australia and is similar to using PayPal. As the only package forwarding company that includes this additional payment option on our platform, we hope to make shopping in the US even simpler for Australian customers. Linking it to your OPAS account is as easy as linking a credit card or PayPal account. First head over to https://zip.co/ and register for an account. Once you’ve created a Zip Pay account you can add the account info to your OPAS account under “Billing Information”. * Note: This only works if you list an Australian billing address under your account profile. Submit a “Personal Shopper” request from your OPAS account and select Zip Pay as the “Payment Method”. With US package forwarding options like OPAS available now, it’s much easier for international shoppers to avoid the hefty shipping fees that retailers tack on when sending packages overseas. To find the cheapest shipping to Australia from USA retailers your best option will probably be shipping with a forwarding service that can save you money through a US tax-free address and consolidation. Our team here at OPAS often saves our customers up to 80% in shipping costs. Our team works to help Australians receive packages from the US. If you come upon any questions regarding Australian customs, shipping dangerous goods, setting up ZipPay, or anything else our customer service representatives are happy to help you find the answers. We hope this post helps you feel more comfortable about shipping to Australia from USA retailers. If you have any thoughts to add feel free to leave them in the comments below!